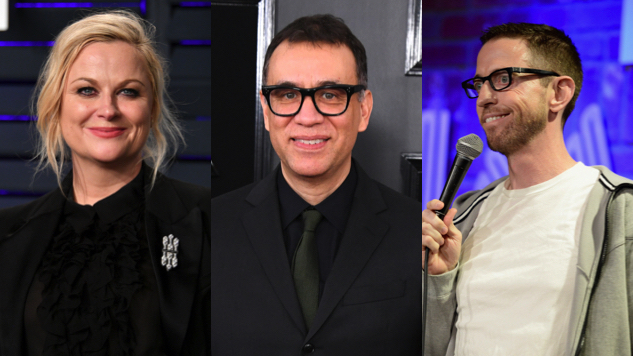 Clusterfest has expanded its 2019 lineup to include performances by Amy Poehler & Friends, Fred Armisen and Neal Brennan. It will also feature a live reading of Clueless with Issa Rae, who was previously announced as a stand-up performer at the festival. Clusterfest is presented by Comedy Central and Superfly, the group behind Bonnaroo, as well as the Outside Lands co-producer Another Planet Entertainment. The bulk of this year’s lineup has already been revealed, and it includes A-list comedy names like John Mulaney, Ilana Glazer and Patton Oswalt, along with musical performances from The Roots, Japanese Breakfast and Courtney Barnett. It will also feature live podcast recordings of Lovett or Leave It and My Favorite Murder. Clusterfest will take place from Friday, June 21, to Sunday, June 23, at Civic Center Plaza and Bill Graham Civic Auditorium in San Francisco. All tickets are on sale now, including three-day and single-day general admission, VIP and Platinum tickets. A portion of the proceeds from ticket sales will go to Bay Area non-profits like America Scores, Boys & Girls Clubs of San Francisco and United Playaz. Check out the full lineup below, and take a look at the festival’s daily schedule on the Clusterfest website.